I would have loved to participate in this challenge hosted by Biblibio, which many of my friends from the IFFP Shadow Jury (Jacqui, Tony M. and Tony) are doing. However, I have set aside August for Haruki Murakami’s latest release, Colorless Tzukuru Tazaki and His Years of Pilgrimage. That novel, and the preparation for a new school year, will occupy my month most fully. Still, I wanted to see what I own and offer up to you some reading possibilities. 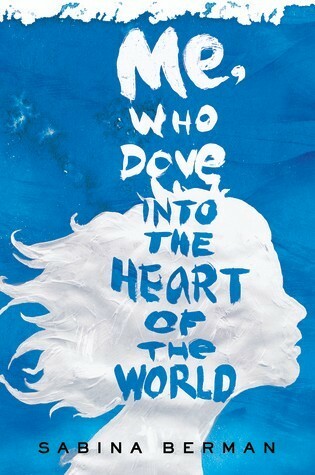 I know that Diane of Bibliophile by the Sea loved The Hen Who Dreamed She Could Fly. And my favorite from the list, though far from all are read, is Swimming to Elba. 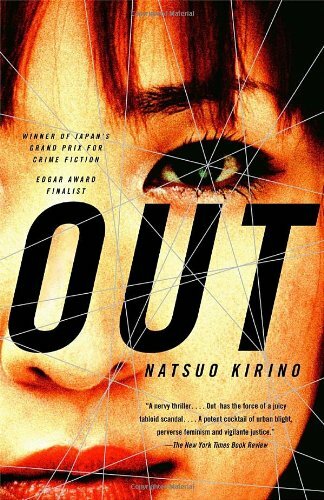 That novel is actually in my top five favorite adult books ever, the other four being Possession by A. S. Byatt, The Robber Bride by Margaret Atwood, The Secret History by Donna Tartt, and Kafka on the Shore by Haruki Murakami. 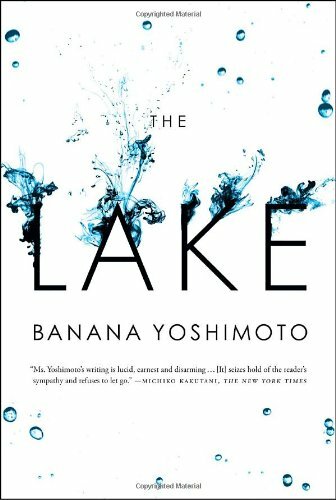 I read The Lake by Yoshimoto just last month and really enjoyed it; I'd like to read some of her other books. This is a great list to draw from…I'm excited to check some of these books out. I tend to read more women authors than men for some reason. So, thanks for the recommendations! I hope there is a Women in Translation month next year too, because I surely didn't plan properly for it this August. Glad the list is helpful to you, Lark (and me). I have The Hen lined up to read for WITMonth. I was curious about Swimming to Elba and am glad to hear you liked it. 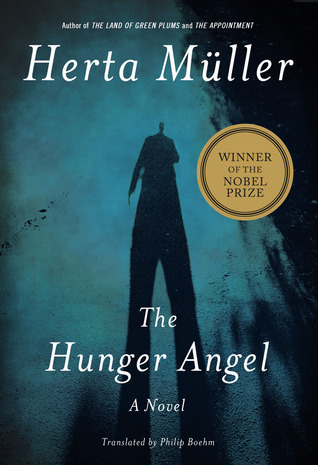 Did you read the Herta Mueller book? What did you think? I hope I can get to The Hen, too, before the end of the month. I have not read Mueller's book yet. It strikes me as quite oppressive, and I feel I have to gather my courage for it. Thank you for the list. I like books in translation. The Hen is interesting because of the title. That's a very interesting list, Bellezza, and thank you for the mention! 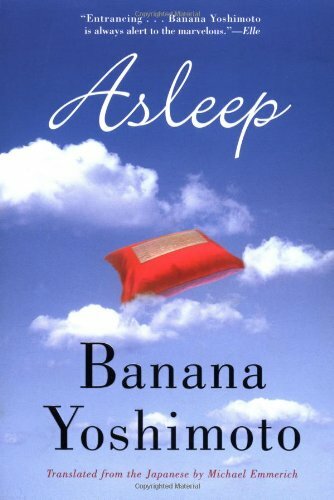 I must get around to trying Banana Yoshimoto at some point. 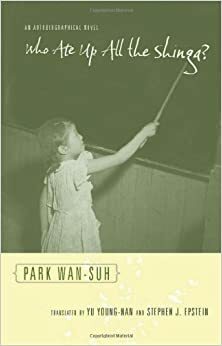 I already have a few others lined up for Women in Translation Month, but later this year perhaps. I can't recall if you're planning to look at her books as part of your Japanese Challenge? 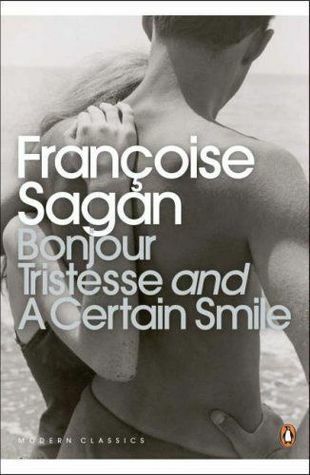 I must buy Bonjour Tristesse, too – it's been on my wish list for a while. Some of these have gone straight into my wish list. I hadn't heard of this challenge but since I happen to be reading a book that qualifies I might well join in now. It's an odd book called The Holy Woman by Quaisra Shahraz. I have only read Lake from your list. But I love the covers of every one of them. Since I'm also reading around the world this year, I'm glad to see your list. I'm going to have to see which ones I can get hold of. Edgar, thank you for enjoying the list. Books in translation never cease to open my eyes to a whole new world. I love them for that. I love Banana Yoshimoto's books, particularly Kitchen. I haven't read The Lake yet, though, and yes, I do have her on the JlC8 line up. Bonjour Tristesse is remarkable in that a teenager wrote it. Yet she's as manipulative as Briony in Atonement (by McEwan) in my opinion. Both “heroines” left me wanting to more than slap them. I have no patience for girlish antics which destroy others. Isn't that one of the wonderful parts of blogging, learning of all that is to be had? So glad you're considering joining in, as I'm sure Bibliobio will be as well. Oh Ally, I love love love The Robber Bride. I've read it many times, and could always read it again. Let's talk about Xenia when you're done, shall we? I'd value your opinion. I'm not quite sure I want to read Mueller, although communism is always an interesting idea to me. Especially since you've loved it. The closest I came to it was living in West Germany when the wall still separated it from East. So sad. I've only read three of your books! 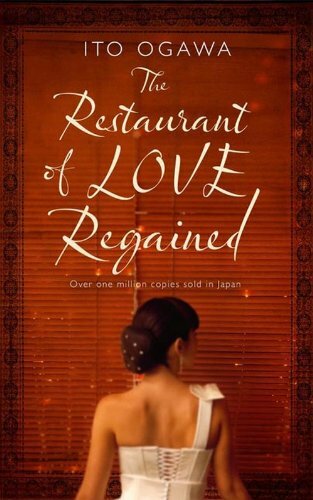 Am now reading Murakami's new book, started it as soon as I got it from the library. The first sentence blew me away. There's nothing like a new Murakami book, and Colorless Tzukuru Tazaki and His Years of Pilgrimage promises to be miraculous. I can't wait until we talk about it by September 12. It's so enriching to read beyond our country of origin. I hope you found some interesting titles and future good reads from these lists!